Will the supernatural/fantasy trend ever end? My guess is no. These days, one needs to find a hook to draw viewers in. Based on a webtoon of the same name, Item is about a criminal profiler and prosecutor working together to uncover the secrets behind objects with supernatural powers. Maybe dark matter hit them (The Flash fans would understand)? Joo Ji Hoon (Mask) plays Kang Gon, a prosecutor who gets embroiled in this mystery while attempting to save his niece. Jin Se Yeon (The Flower in Prison) plays Shin So Young, a talented criminal profiler, while Kim Kang Woo (My Husband Oh Jak Doo) is Jo Se Hwang, a sociopath who collects these items. This drama marks a reunion for Joo Ji Hoon and Jin Se Yeon who previously worked together in 2012’s Five Fingers. It’s written by Jung Yi Do (Save Me) and directed by Kim Sung Wook (Goodbye, Mr. Black). 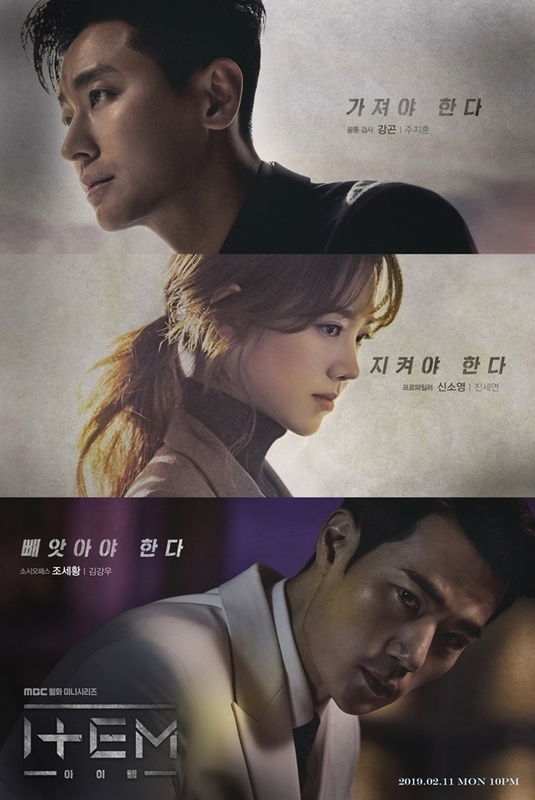 Item is scheduled to premiere on February 11th on MBC, taking over Less Than Evil‘s time slot. I love fantasy shows. I’ll definitely give this one a shot.